I'm getting so excited for spring weather and can't wait to incorporate the feeling of spring into both my home as well as my wardrobe. I think these blue and white reversible placemats are the perfect touch for meals. I mean the scalloped edges! LOVE. Think I may scoop this green dress $88 for Easter and pair it with these new earrings. 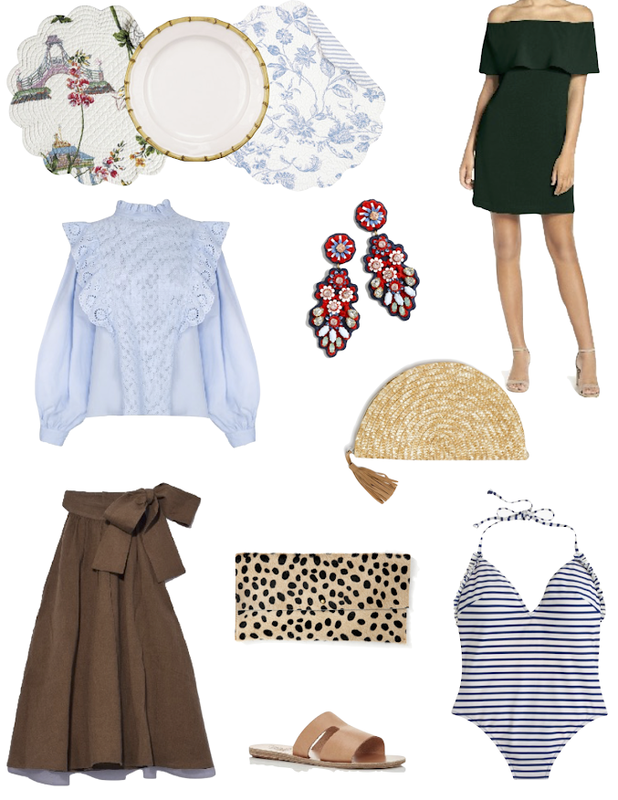 I also found this blue eyelet ruffled mock neck top for under $100. Perfect to pair with white jeans, neutral sandals, and a spring tote. Last, but certainly not least, this tie neck top is perfection!